United States Institute of Peace published this article on August 5, 2016. 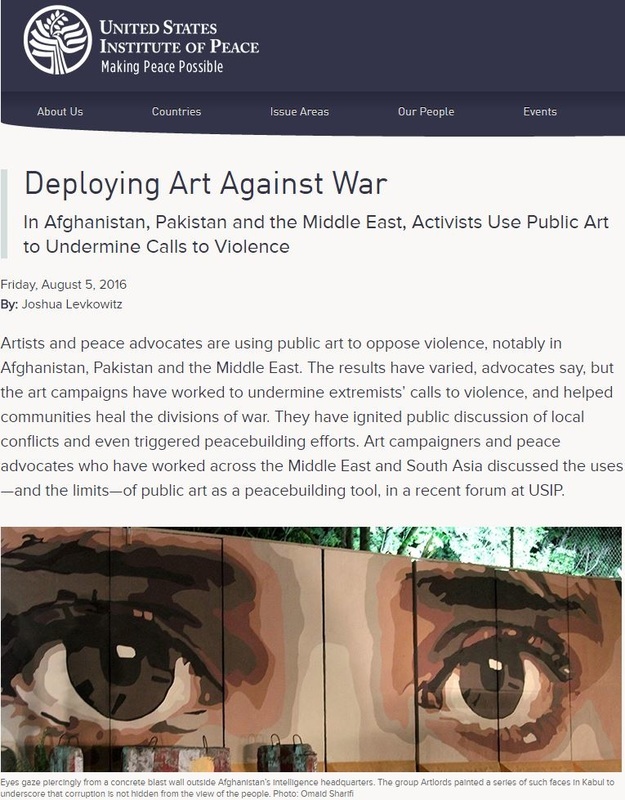 It describes incredible work being done by artists and activist groups who are using their craft to create change. Welcome to the Discussion Page of our site. This page is like a blog where you can make posts and others can comment below. Feel free to post a comment, question, new idea, success, challenge, or anything else. Click New Post on the bottom right of this page to make a new post. Then drag a text box from the left and begin your entry. You must be logged in to make a new post but do not have to be logged in to comment. Any questions or issues, please feel free to email me at mitch.manning@umb.edu.